Shopping for a new mattress may seem overwhelming, especially if you’re prone to sleeping on your side. But, getting a good night’s sleep doesn’t have to be so daunting. While it’s true that side sleepers face a few unique challenges, finding the best mattress for side sleepers is easy once you know what to look for. If you’re a side sleeper, you already know how challenging it can be to get comfortable at night. Side sleepers are prone to chronic neck, back, and hip pain thanks to unforgiving mattresses. That’s why we’ve put together this list mattresses that will alleviate pressure on side-sleeping trigger points and help you to get the best sleep possible. Buying a good mattress is an investment in your health and wellbeing. Finding the right mattress takes time and proper research. Each of the beds on our favorites list below has a rating out of five stars. Beds with the highest scores are at the top of the list, but any of these mattresses will serve you well. To come up with our ratings, we explored a wide variety of criteria. All of the mattresses on our top eight list are comfortable, long lasting, and excellent at reducing unwanted pressure. Additionally, we looked for models that featured high-quality guarantees and excellent customer service. Plus, these mattresses are great for back and stomach sleepers too. Be sure to check out our buyer’s guide at the end of this article for additional guidance on choosing the right mattress for you. Sleep is a very personal matter and not every mattress listed here will work well for every side sleeper. However, all of these mattresses are backed by exceptional customer reviews and feature excellent quality. Check out these eight beds to help you find the best mattress for side sleepers. This hybrid mattress from Tomorrow Sleep combines the best of traditional coil mattresses with the comfort of newer memory foam. Each coil in the base layer of this bed is individually coiled and features an ergonomic design for excellent support. Additionally, the memory foam layer of this mattress has temperature control technology to keep users cool at night. The Tomorrow Sleep mattress is compatible with any foundation or base. You can even use it directly on your floor. This mattress is made in the U.S., is free from toxins, and also hypoallergenic. Plus, it is backed by an impressive year-long guarantee. If you don’t love this mattress, the company will pick it up from you free of charge. Customers love that the well-known mattress brand Serta Simmons backs this mattress with confidence. Plus its ten-year warranty puts customer minds at ease. Users report that this mattress offers excellent support while still being soft enough for side sleepers. With this one-of-a-kind mattress from Layla sleep, customers get more variety for less cost. 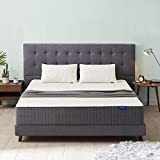 This mattress features a smaller price tag than some other top-of-the-line models but is an excellent choice for a wide variety of side sleepers. Unlike other mattresses, this bed features both a “soft” side and a “firm” side. And, switching between the two is as simple as flipping the mattress over. Also, to keep sleepers cool, this bed uses a combination of copper-infused foam and a “Thermo Gel” cover. As a bonus, this mattress is made entirely in the U.S. and the company offers a four-month-long trial period. Customers love that this mattress is incredibly comfortable. Plus, customers are delighted by the helpful and attentive customer service department. This mattress is an excellent choice for anyone on a budget. And, its versatility makes it a winner. We give this bed five stars for its high quality and top notch customer service. 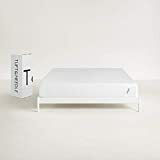 Tuft & Needle touts itself as a “bootstrapped” company built by two regular guys who were disappointed with other mattresses available for consumers. The entire Tuft & Needle is built on being innovative and superior when compared to other mattress companies. This mattress features a unique graphite-infused foam and claims to be more pressure relieving than other memory foam mattresses. Additionally, this same graphite foam keeps users more relaxed at night than either latex or memory foam. As a bonus, you can purchase a Tuft & Needle mattress for far less money than other top-end brands. Overall, this mattress comes with impressive reviews. Customers love the balance of support and pressure-relieving softness. For many, the one hundred night sleep trial and ten-year warranty are just icing on the cake. As is typical with many foam based mattresses, some customers complain about the chemical smell when first unboxing this product. All in all, this mattress represents excellent value for its cost. And, its soft yet supportive structure is an excellent choice for side sleepers. Plus, the customer service team is responsive and helpful. If you’re an athlete looking to wind down and recover after an exhausting day of training, this mattress is for you. Sweet Night crafted this mattress specifically with the athlete in mind. It features optimized cooling technology and unparalleled contouring pressure relief. This mattress has four distinct layers including a Celliant cover that promotes muscle recovery. This provides consumers with pressure point relief, reduced shoulder pressure, and targeted lumbar support. These features mean that this mattress is particularly well suited to side sleepers suffering from back, hip, or neck pain. As a company, Bear strives to provide customers with a high-quality product that they can trust. Customers enjoy that this mattress sleeps cooler than many other foam mattresses. Also, many people like that this company is an official member of the American Chiropractic Association. Many athletes find this mattress to be an excellent addition to their recovery routine. Plus, customer service is high quality. 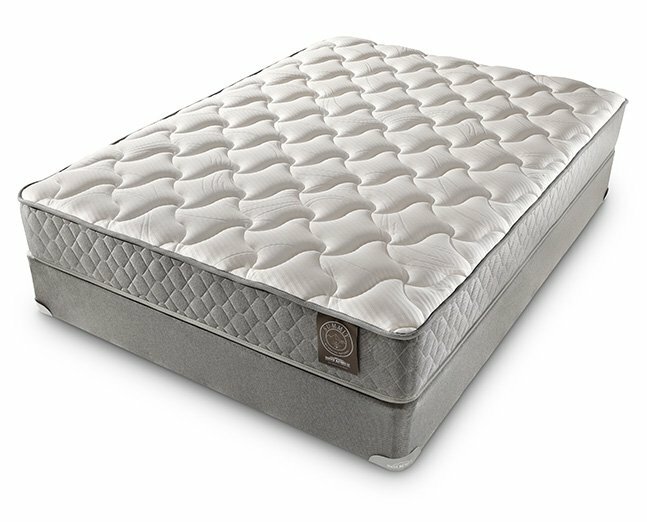 For customers looking for a mattress that is neither too firm nor too soft, the Live and Sleep Resort Ultra is an excellent choice. This mattress achieves a balanced medium-firm feel by combining a high-density support base with a thick memory foam top layer. In between the top and bottom layers is a thin cool-gel layer to help air flow through the mattress with ease. Despite being from a lesser known brand, this product has excellent customer reviews. It is touted as astonishingly comfortable and surprisingly long-lasting. Plus, this mattress is much more affordable than other “big-name” memory foam mattresses. As a bonus, this company includes a memory foam pillow to its customers for free. Customers love the affordable price point of this mattress. Also, if you’re interested in eco-friendly options, you’ll be happy to know that this company uses recycled packaging to reduce their carbon footprint. Overall, this mattress is a solid choice for side sleepers and back sleepers. But, the customer service department could be better. 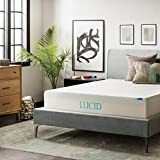 This mattress from Lucid may seem unremarkable at first glance, but as it turns out, many side sleepers love this product. And while this product is simple in design, it doesn’t skimp on comfort. Lucid offers several different memory foam mattresses that feature various degrees of firmness. This mattress is considered medium-plush and offers excellent value for its cost. The Lucid 12 inch Plush Memory Foam mattress offers consumers a balance between support, comfort, and affordability. It is made with three layers of foam encased by a luxurious but breathable cover. Each layer promotes breathability to decrease heat build-up during the night and improve the overall sleep experience. Customers love the conforming support that this mattress offers. Additionally, this bed features an impressive 25-year warranty just in case anything goes wrong. Unfortunately, the customer service support for this mattress is less than stellar. Casper is a relatively new company, but make no mistake; they deliver an impressive product. 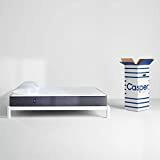 The Casper mattress features four layers of foam to cultivate the perfect balance between support and pressure-relieving cushion. This mattress utilizes open-cell foams throughout to prevent overheating and ensure that users stay comfortable. Customers enjoy sleeping on the Casper mattress because it offers excellent support without compromising the comfort of side sleepers. This mattress comes with an excellent customer support team. Plus, the company provides a one hundred night guarantee and a ten-year warranty. While most reviews for this product are positive, some users note a few issues. The most frequent complaint about this mattress is that it smells terrible even after being “aired out” for several days. All in all, this mattress is an excellent choice for some. The purple mattress is both new to the bedding scene and well-known for its iconic commercials. But, is it worth the hype? This mattress features innovative technology that keeps side sleepers comfortable without the drawbacks of a traditional memory foam mattress. Purple touts itself as a company dedicated to protecting spinal alignment and health. Additionally, this mattress is long lasting and made of nontoxic, food-grade materials. This mattress offers users much cooler sleeping temperatures without sacrificing comfort. However, some users report that it is too firm. In general, customers are satisfied with their purchase of this mattress. However, a few have noted difficulties with the customer service department; especially when trying to make returns. But, if you prefer a super soft sleep experience, we suggest looking elsewhere. Buying a new mattre​​ss is an investment. Mattresses last an average of seven to ten years and carry a pretty substantial price tag. But by investing your money in a quality mattress, you will likely improve your quality of sleep dramatically. And when you sleep well, the ins and outs of everyday life are likely to flow well too. If you sleep on your side most often, finding a good mattress that doesn’t irritate your back, hips, or neck can be difficult. In general, looking for foam-based bedding will help you keep your spine in proper alignment. The contouring features of foam will also alleviate any unwanted pressure that spring coil mattresses cause. Do you like firm or soft mattresses? Does the mattress come with a sleep guarantee? What kind of warranty comes standard with the mattress? What size mattress can fit in your room? Do you have any specific sleeping needs? Do you also need a foundation? To get the most out of your shopping experience, also set a budget beforehand. As we mentioned above, a good mattress is an investment in your well being. You shouldn’t skimp on quality to save money, so be prepared by saving up and setting a reasonable budget. By checking out our favorites listed above, you’ll get a decent idea of how much you’ll need. Also, don’t be afraid to take advantage of a company’s guarantee if the mattress you pick doesn’t work out. Just keep in mind that many guarantees and warranties have incredibly specific requirements. Be sure to evaluate these requirements carefully before purchasing a new mattress. Otherwise, you may be stuck with a bed that doesn’t work well for you. By looking through our top picks and paying attention to the buyer’s guide above, you’ll be prepared to buy a new mattress with confidence and ease. Whether you are a side sleeper yourself, or just know someone who is, the beds above will help ease discomfort and improve sleep quality. 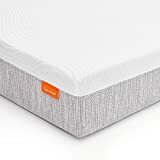 « Nectar Mattress Reviews: What Makes It Unique Among Others?